To know they still exist in song! Each colouring of a by-gone day. Our Love’s the flower, “Forget Me Not.” M F.
Signed “M. 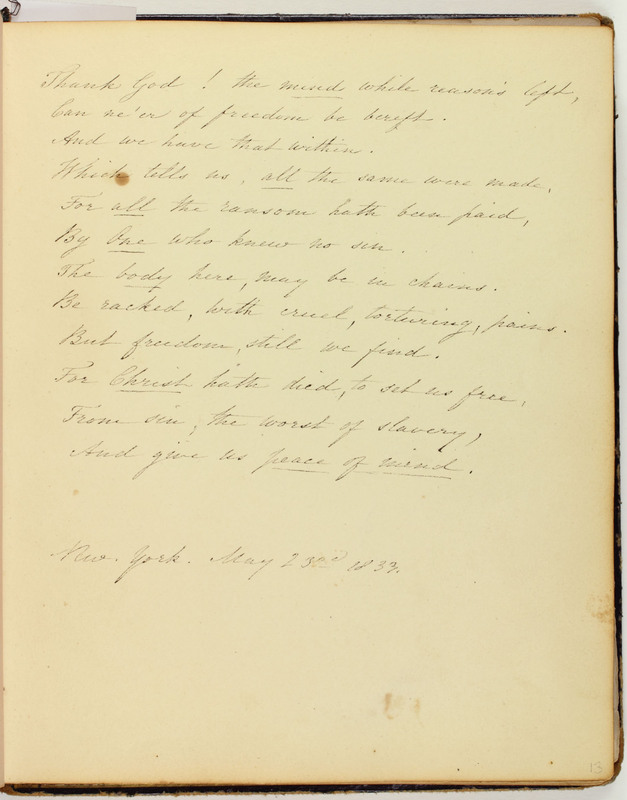 F.,” this poem “Forget Me Not” is likely transcribed by Margaretta Forten who made other contributions to the Cassey Album. Forten may have also created the accompanying watercolor of the flower after which the poem by Southern poet William Gilmore Simms (1806-1870) is titled. Ironically, Simms was an outspoken advocate of slavery. The poem attests that love between two people can persist across time and distance, suggesting that Forten was going to be absent from Cassey’s life for a while and wanted her memory to remain with her. The forget-me-not thus comes to emblematize the poem’s “sweet…token” of remembrance as well. 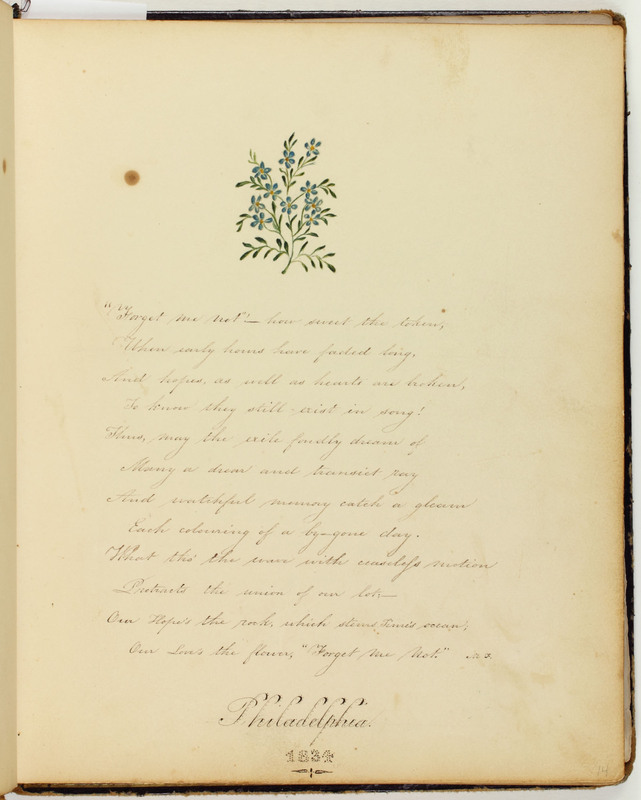 Page 14: Selected pieces from William G. Simms Jr., “The ‘Forget Me Not,’” in Early Lays (Charleston, South Carolina: A. E. Miller, 1827).